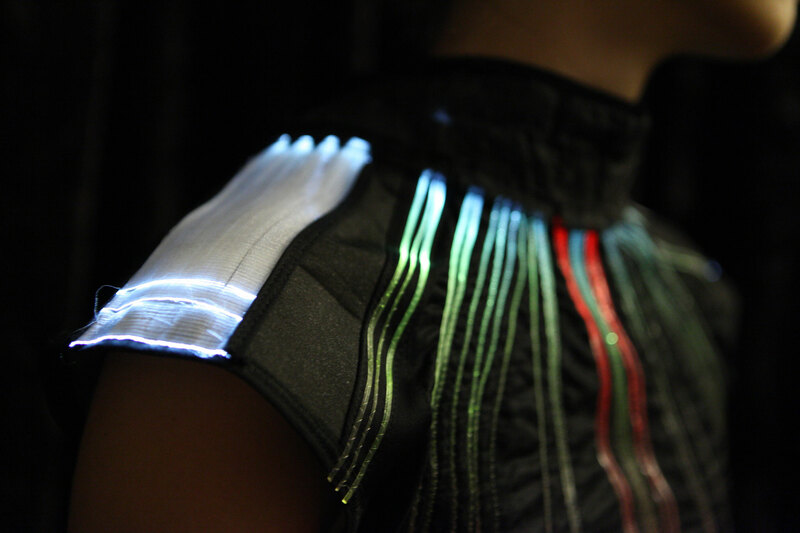 The new generation of textiles, that’s e-textiles: clothing with integrated sensor technology and actuating elements goes beyond the usual scope of functional and creative realization of clothing. This interdisciplinary project concentrates on the area of the application of performing art. Its conceptual choreography reflects every day life’s frequency between performance and rest, the biorhythm of the body and the perception of your body during physical stress. The "Thermo-Flower", a temperature sensor, is being designed and measures the balance of the dancer’s skin temperature during a performance. 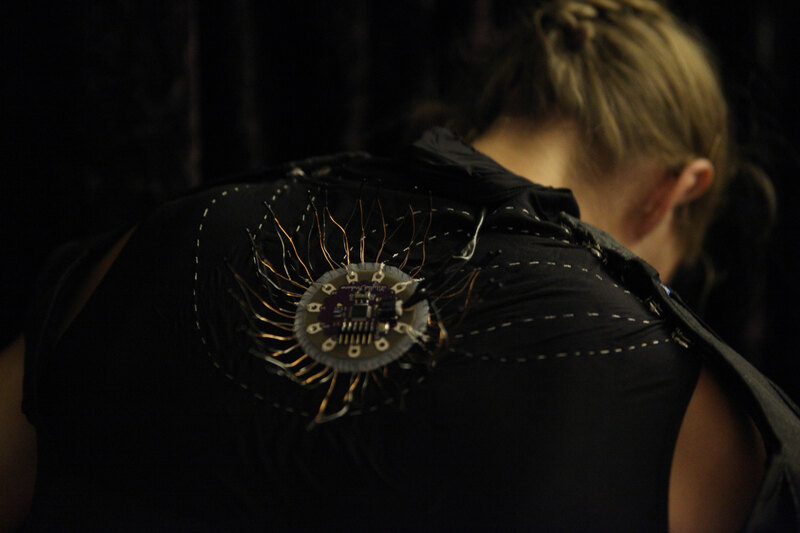 Based on the temperature sequence, the integrated electronics control the visual elements of the costume. As a result, the costume’s light appearance visualizes the thermal condition the body is in, which otherwise is invisible for the spectator and can only be felt individually.